Magazines can’t get enough of Auburn’s bass happy Lee brothers. 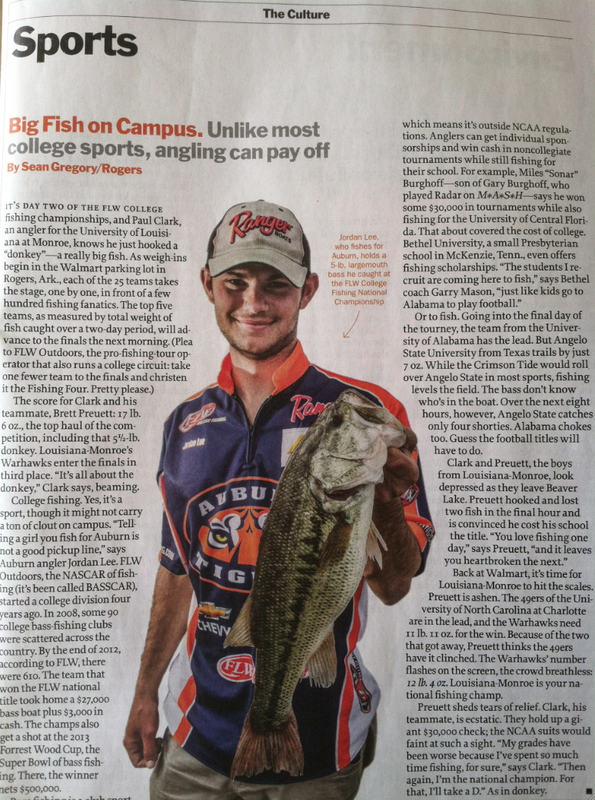 Matt (decked out in Auburn gear) landed the cover of the February issue of BASSMASTER. Now Jordan has reeled in the new issue of TIME. Maybe it’ll help him get a date.